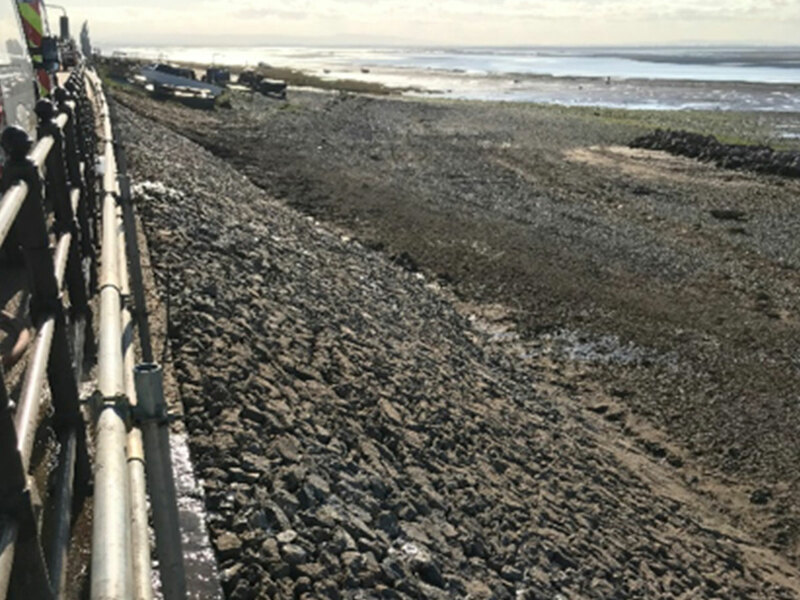 The main contractor is VBA, a joint venture between VolkerStevin, Boskalis Westminster and Atkins are replacing the sea defence walls, as the existing coastal defences are time expired and currently failing. The current concrete coast defences were built in the 1890’s and have been undergoing emergency repairs every year to prevent a major breach. The £17.5m contract is to provide new coast protection at Fairhaven and Church Scar, including coastal defences and an upgrade to the promenades. 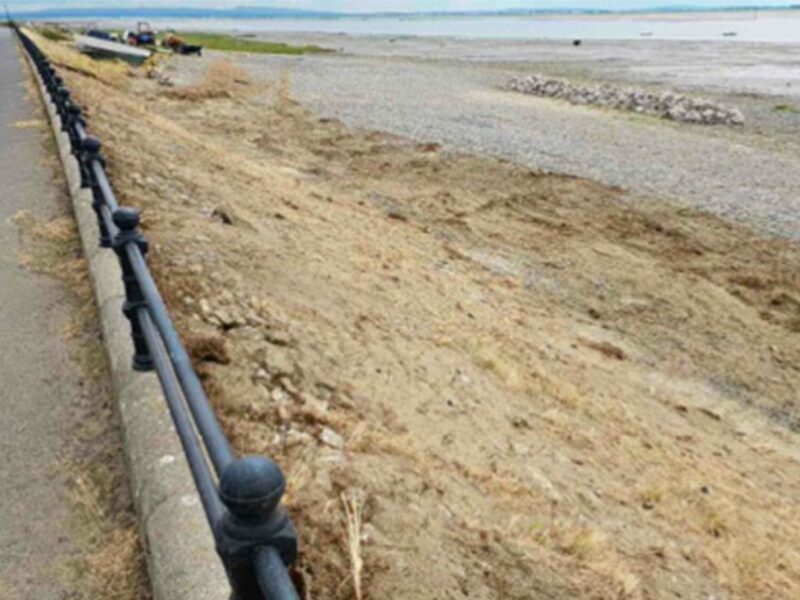 Fylde Council require the work to be undertaken area in order to protect peoples’ homes and sustain economic growth as the existing sea defence wall is deteriorating. By replacing it now, we will continue to protect the area from flooding. The combined flood and erosion risk contains 2,425 residential properties, schools and infrastructure serving the wider area. 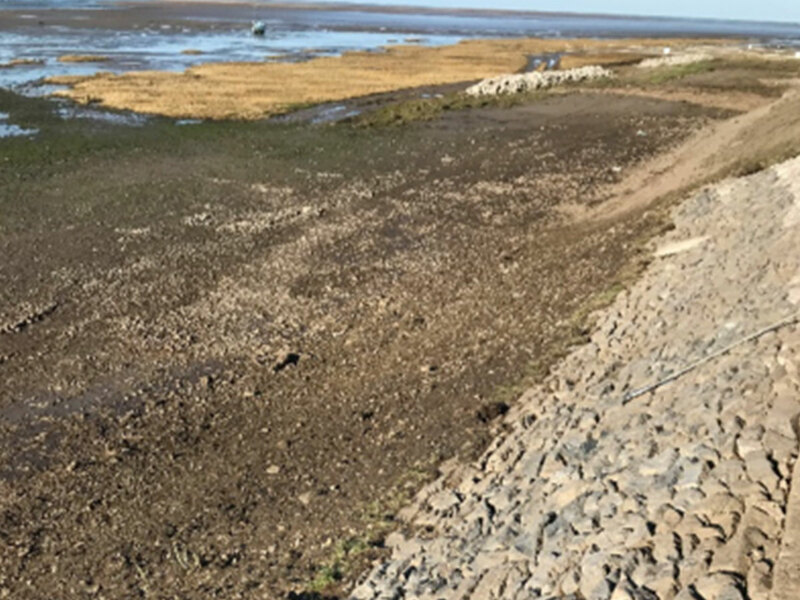 Removal of 2050m² of vegetation was required on the existing 1:2 Revetment for repairs to be made. Working in a tidal location and with load limitations place on the newly installed promenade. Buxton Water utilised a tracked MEWP to gain access from the beach to the workface on the revetment. 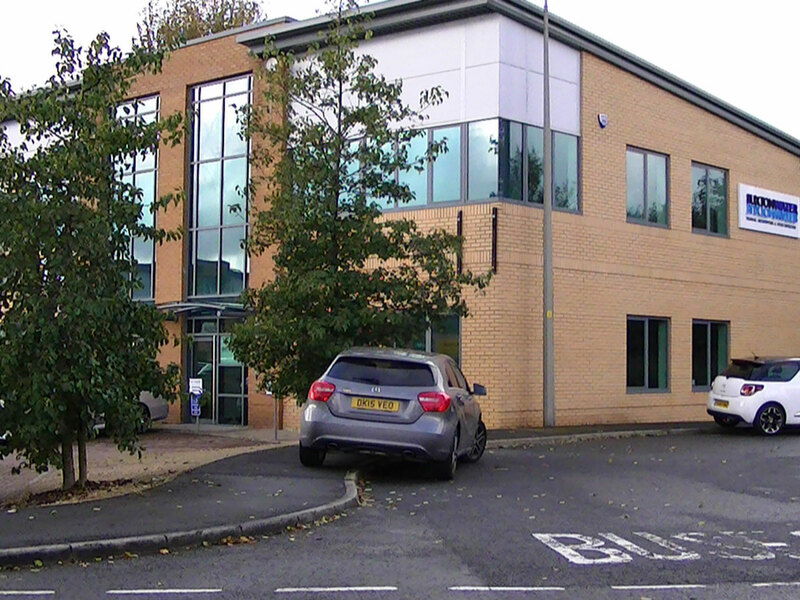 Using High Pressure Water Jetting we were able to remove all the vegetation quickly and effectively. 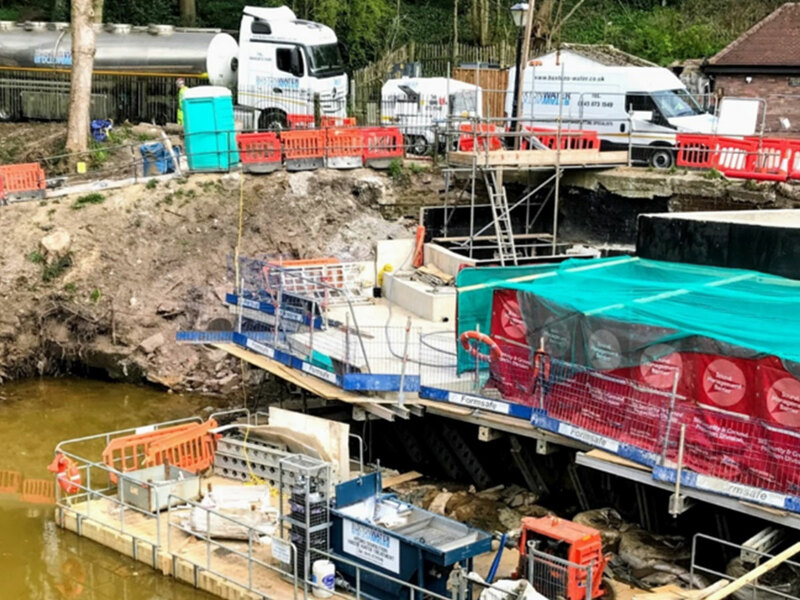 With this project Buxton Water further cements its position as a contractor able to deal with any manor of site condition, that may be imposed safely and efficiently. 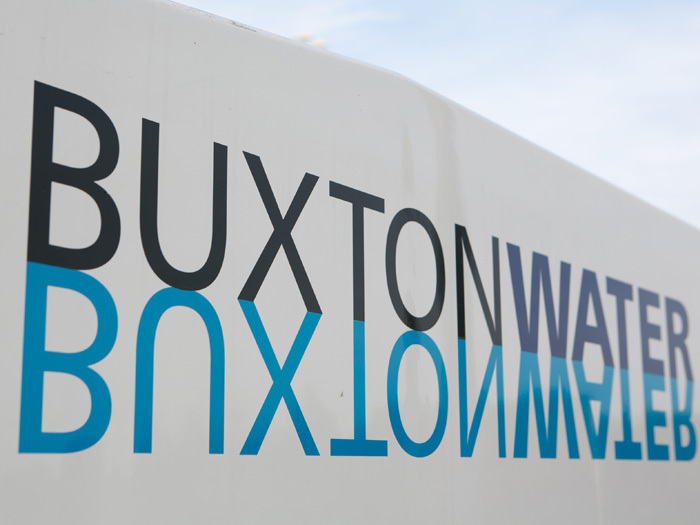 Buxton Water expands its Reactive Maintenance Services across the country, delivering our market leading 24 hour call out service.